It’s not really a spoiler since they just reminded me that the lock is still relevant. That aside, let’s dig in. We get an obvious reaction from Chitoge and Raku about the whole fiance thing his father left us hanging with since last week. Raku seems more perplexed while Chitoge is somewhat silent. Raku’s father doesn’t seem intent on breaking this arranged marriage when the issue is debated by his son because of the peculiar position of the girl’s father has. Raku doesn’t understand but he’ll meet her very soon. So soon in fact, the usual transfer student business occurs and the girl who Raku is supposed to be engaged to appears. Enter Tachibana Marika. The fourth and for now, the final member of the circle of lovers. She has spent the past 10 years of her life thinking of nothing but loving our hapless protagonist. Everyone is once again up in arms in yet another girl taking interest in the mob heir. Tsugumi’s brash attitude prompts to herself to point a gun at Marika and then her police force show up. After that commotion, Marika asks Raku to help her get to the nurse’s office due to her poor health. Raku thinks she’s joking but she drags him anyway. Marika then goes into detail on how she remembers everything from their past and has prepared everything in her life to meet him here. I honestly cannot begin to describe what Raku has to feel. Then again, it’s not like harem protagonist have a fully functioning brain. I’ll give some slack since Raku actually has something for another girl but who could ever deny someone this devoted? Either way, cue compromising position and walk in from Chitoge and we get a misunderstanding going on. Before any girls can retaliate, Marika asks Raku on a small outing. Raku takes this chance to find out about his past. The rest of the girls go undercover to spy on them. 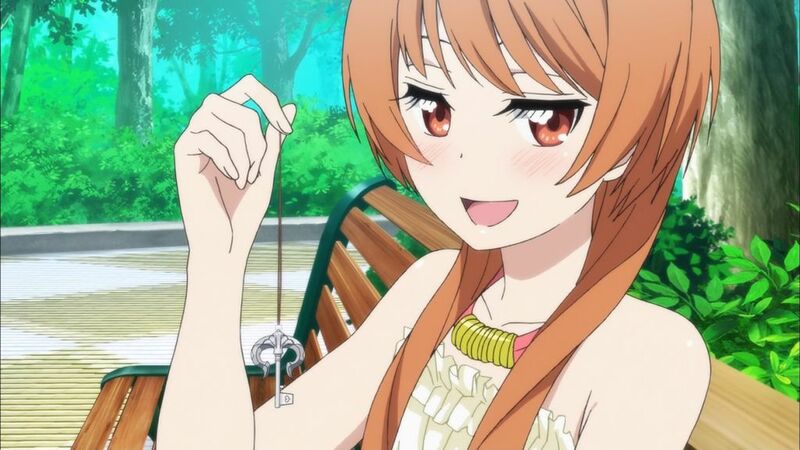 To make a long story short, Marika unveils yet another damn key and proposes that if the key does match his lock, Raku will need to break up with Chitoge (who happens to be listening in on the conversation). Raku however does protect Chitoge and speaks some good about her. Marika leaves due to her health but Raku catches up with her and says outright he still has no idea who she is. Marika turns out to be someone Raku remembers for real, only that back then, she used to speak and behave very differently. What do you know, Raku actually remembered someone. Well, the tentative final four have now assembled. The key resolution will be tossed aside sooner or later. I forget the upcoming arcs but we have half a season’s worth of episodes left. I’m basically in the same situation as the people who didn’t read, minus the fact I won’t be too surprised at any other development. 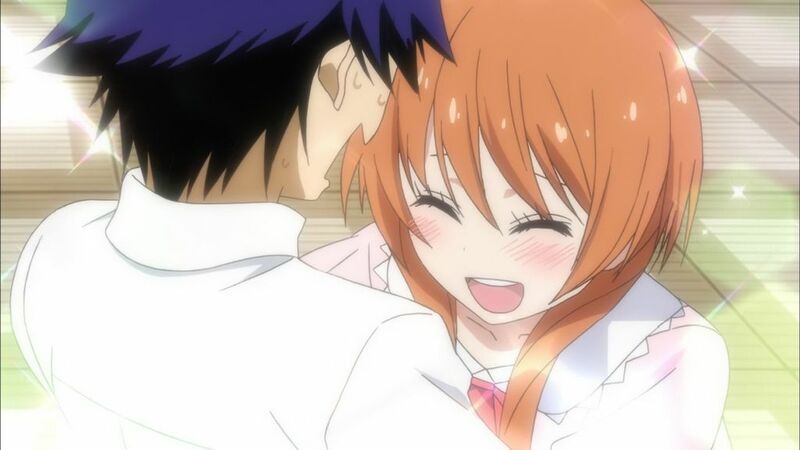 Still, happy to see Marika. She brings some much needed enthusiasm and loudness compared to Chitoge’s brute strength, Tsugumi’s tsun, and Onodera’s absolute moe.